These dragons are more interested in bunnies and consoles than stacks of gold and vorpal blades. 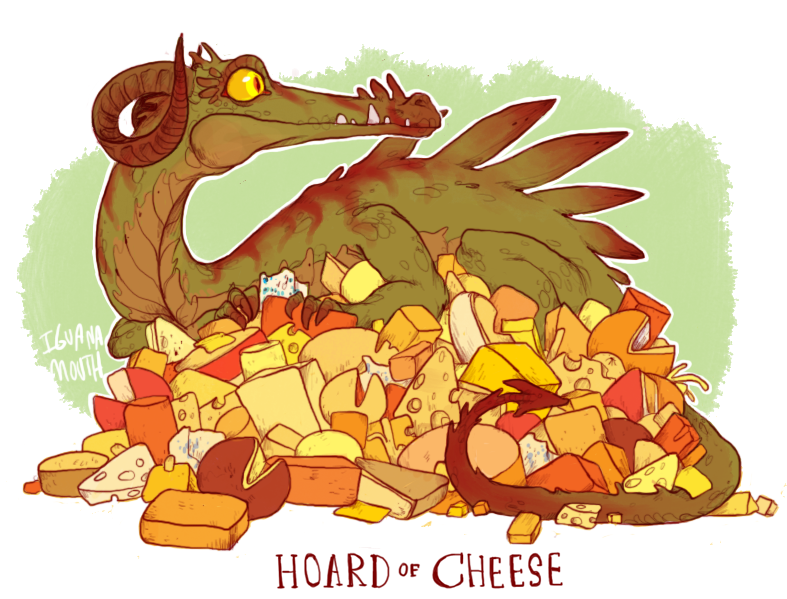 Every adventurer worth her salt knows that dragons like to hoard things. Deep in mountains or in a dark forest den, dragons build grand piles of plunder just waiting for an adventuring party to come along, raid it, and throw the local economy completely out of whack with their new collection of massive rubies and vorpal scythes. 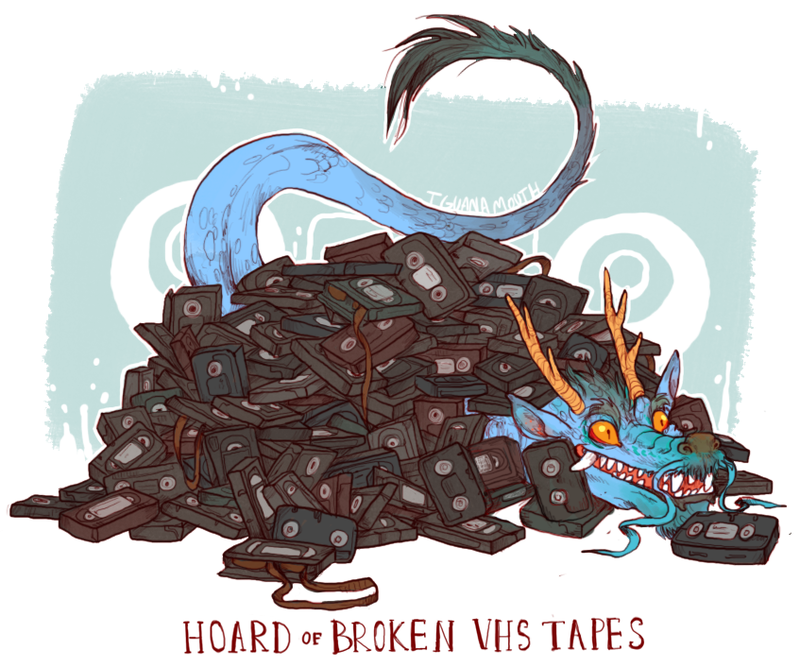 Artist Lauren "iguanamouth" offers a different take on dragon treasures in her Uncommon Dragon Hoards series. 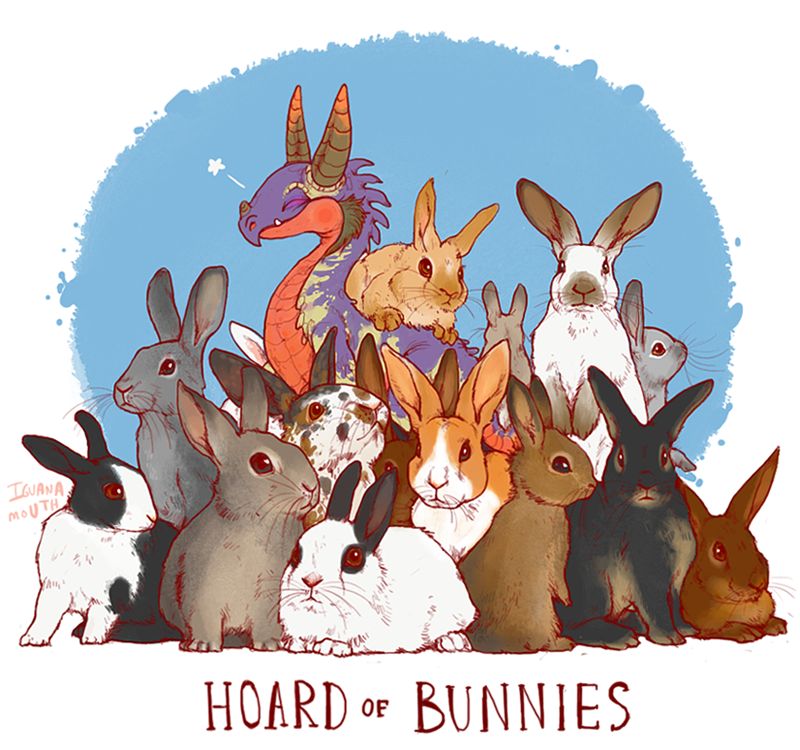 These dragons have turned their penchant for collecting on teacups, video game consoles, Legos, and even other creatures - adorable rabbits surround the feet of one dragon, while another fills his den with an assortment of snakes and lizards. 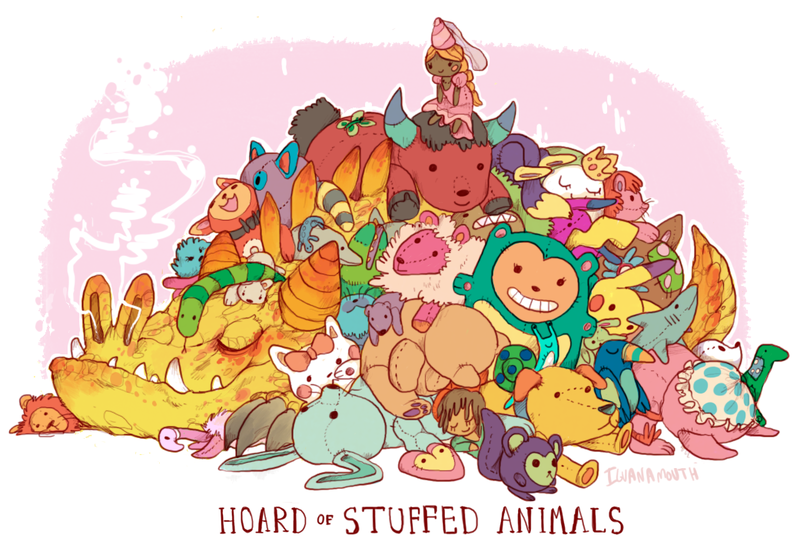 The series began with four unusual hoards (a hoard of cheese, a hoard of knives, a hoard of stuffed animals, and a hoard of broken VHS tapes). 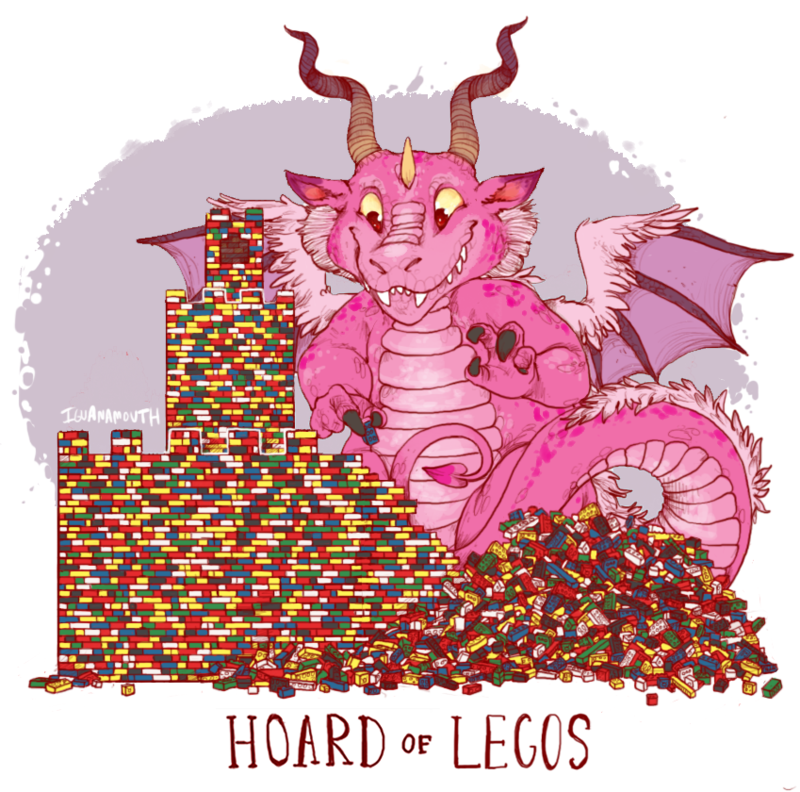 The original four hoards were so popular, Lauren began receiving commissions for more uncommon dragon hoards. The new set of nine treasure troves are all commissioned pieces. 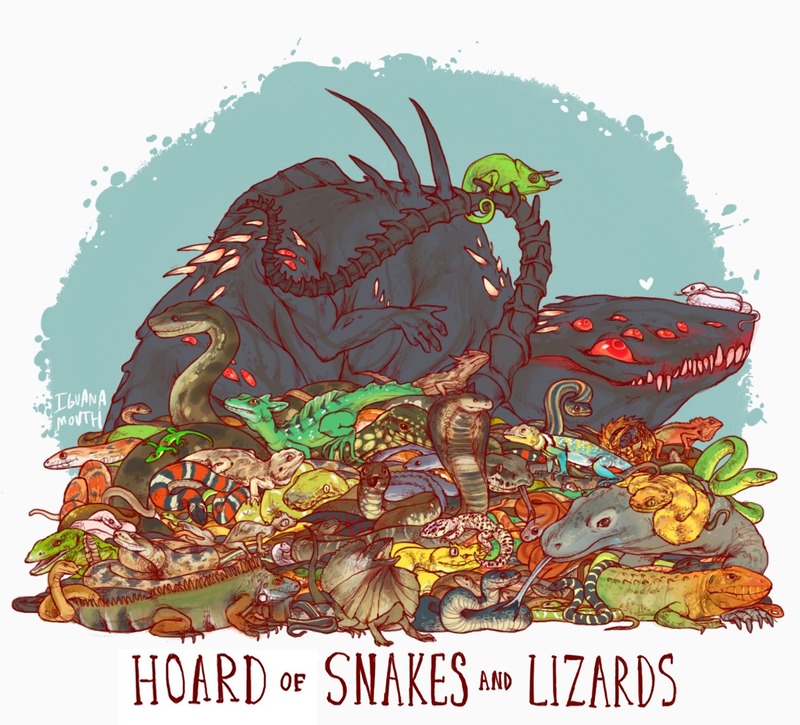 "All of them involve things very dear to me: weird lizards on piles of junk," says Lauren on Tumblr. 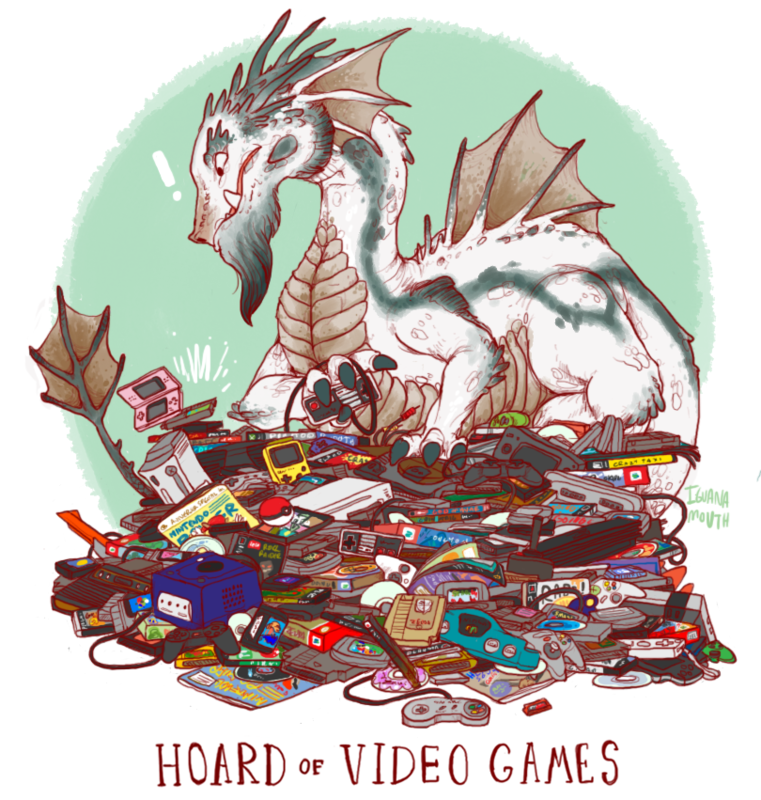 Lauren says the video game hoard was one of the most difficult to draw. "I had to look up a really wide variety of consoles, games and controllers, and then, keeping in mind accurate proportions, draw them from a wide variety of angles in ways that would be realistically seen in a large pile," says Lauren. "With a lot of the other ones, I had a little leeway in how I was able to draw something, maybe make things up a little, but the video game hoard is made of of real, recognizable objects that had to be made in exact ways otherwise it wouldn't actually come across as the object I was trying to represent." 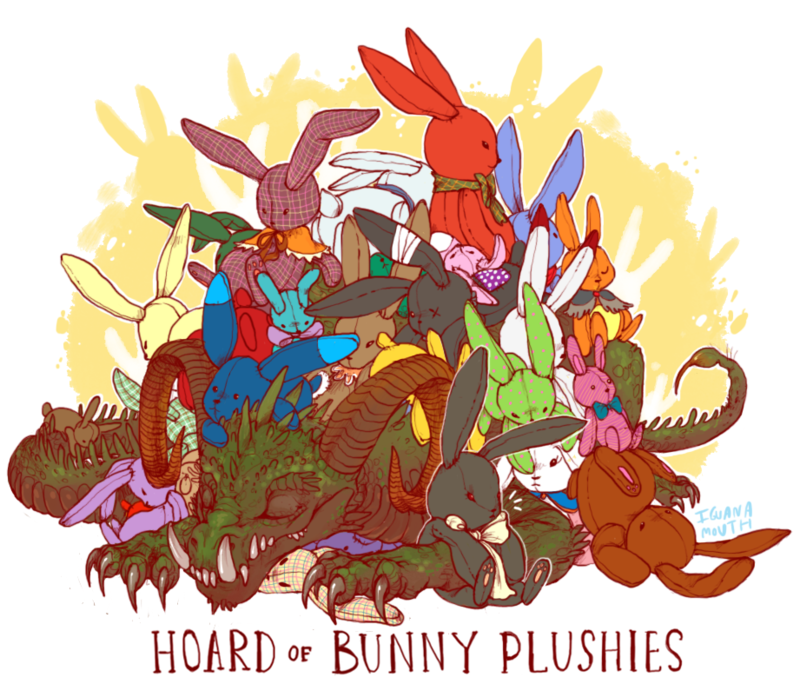 Uncommon Dragon Hoards by Lauren "iguanamouth". 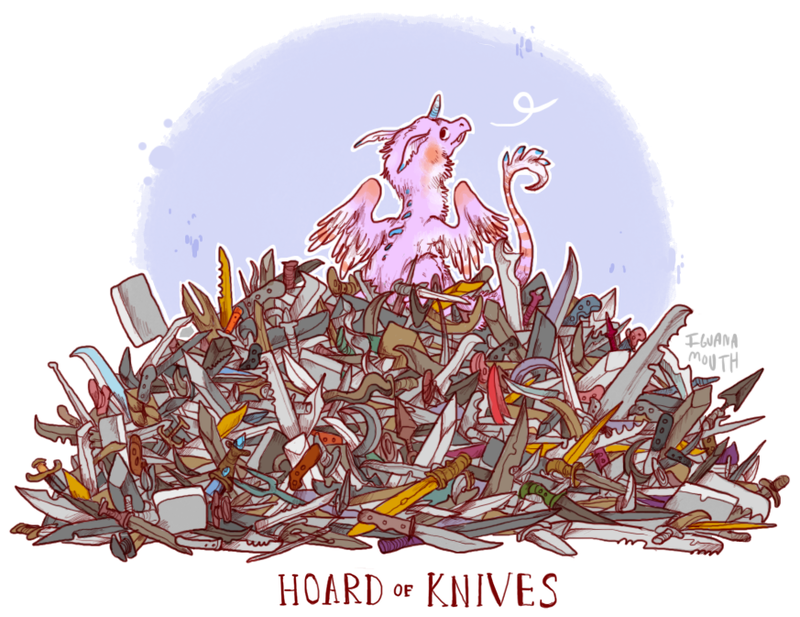 The Wizards of the Coast archives offer a variety of more standard dragon hoards, but Lauren's take on the covetous collections could inspire some unique adventures. 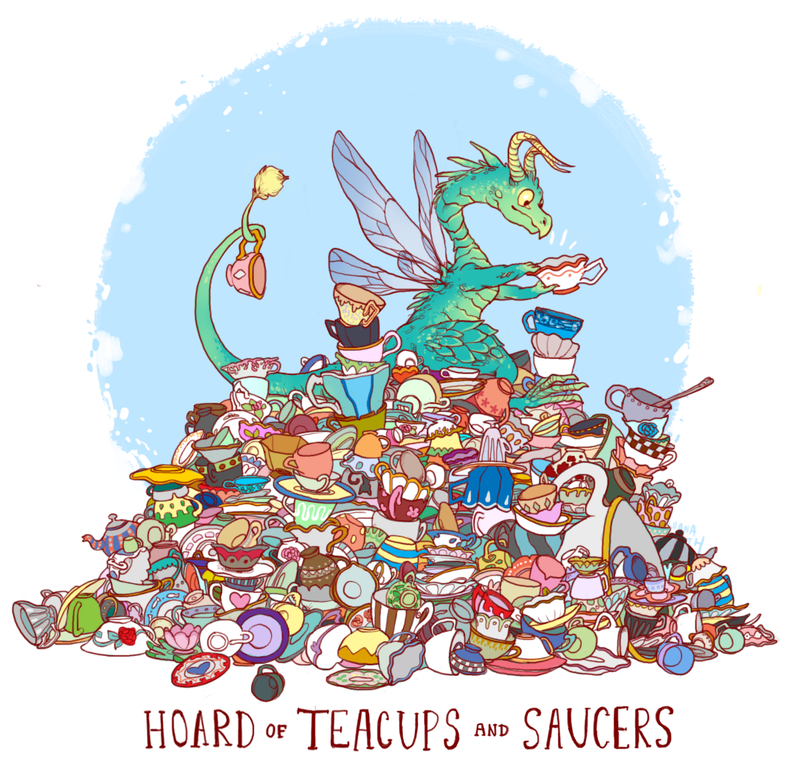 Could a faerie dragon be responsible for the recent rash of teacup thefts in town? 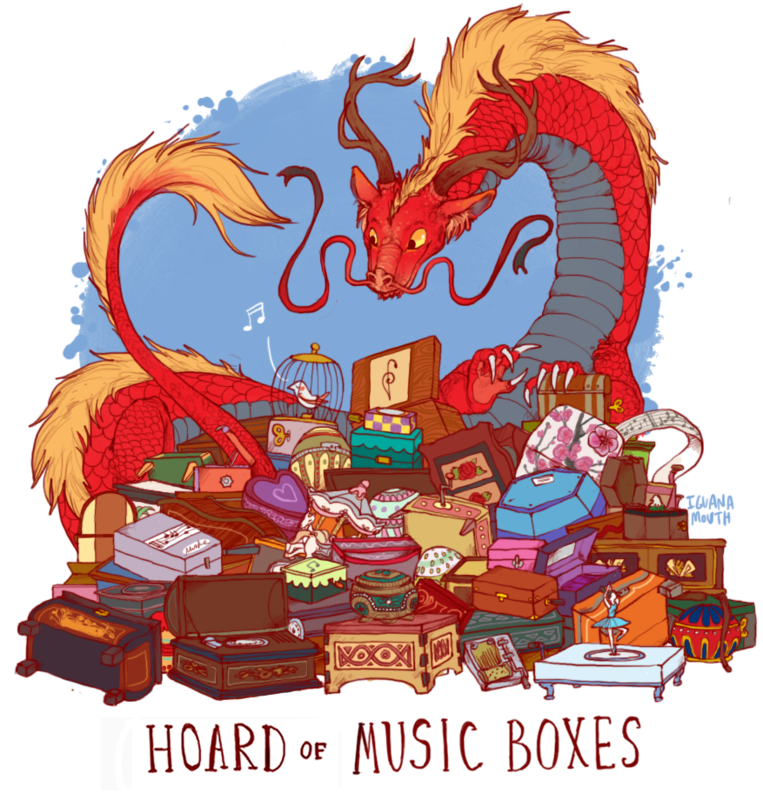 Maybe the Bronze dragon the adventurers turn to for help fighting off the approaching horde of Orcs isn't interested in their shiny treasures, and instead only wants to be paid in musical instruments? 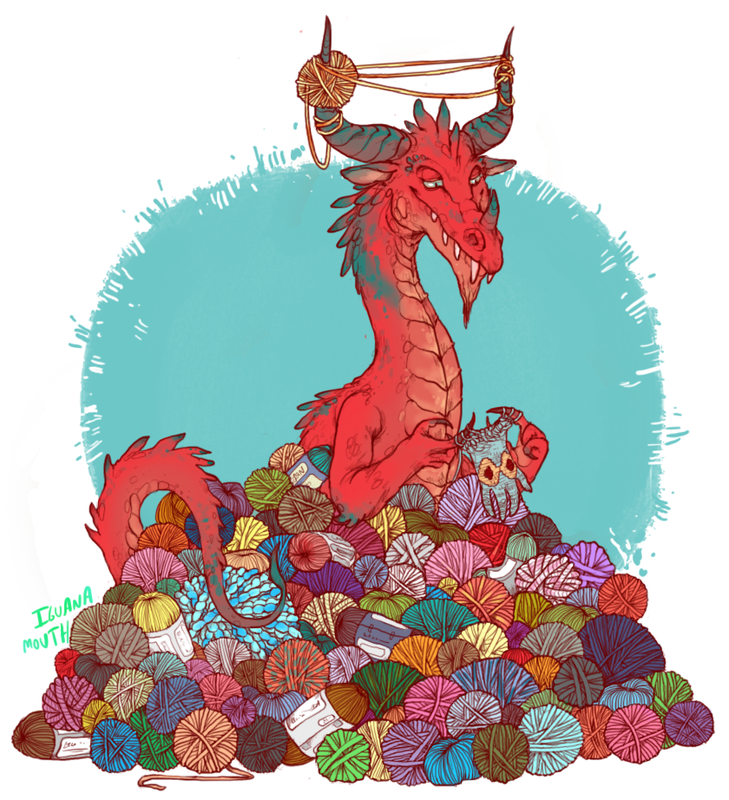 Perhaps the local farmers need help to keep a nearby dragon from shearing all their sheep for her yarn collection. What do you think, would one these unusual hordes fit in your Dungeons & Dragons campaign?